Custom-built steel staircase with wood treads. Custom Corten Steel pivot door at entry. Multiple balconies on front façade. Enclosed & landscaped back deck entertainment space. Custom mural on featured architectural element. Custom built interior doors at key locations. 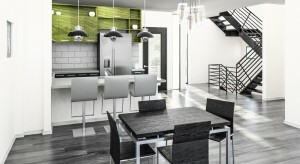 Custom designed kitchen with commercial grade stainless steel appliances. 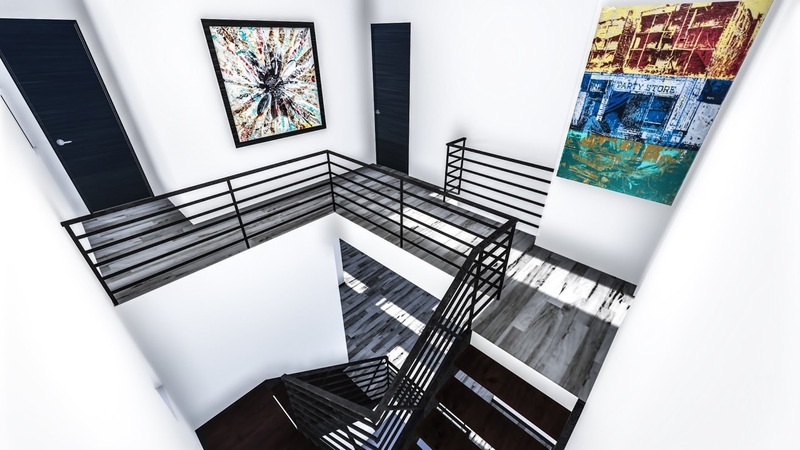 Custom steel and wood architectural design features throughout. Exposed polished concrete floors on 1st level, wood floors 2nd/3rd Level. Custom bridge at 3rd living level. 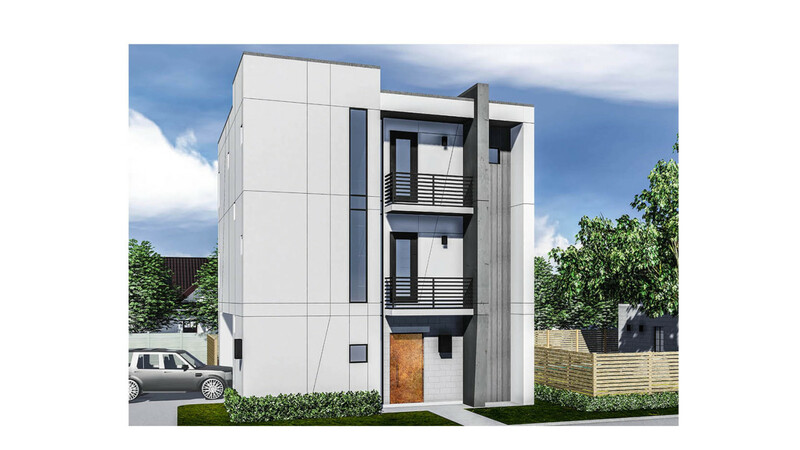 Urban progressive design style exclusive to aadmixx homes. 3rd Floor Rendering of Stair Tower and Bridge. Rendering of Kitchen and Dining from Living Room.